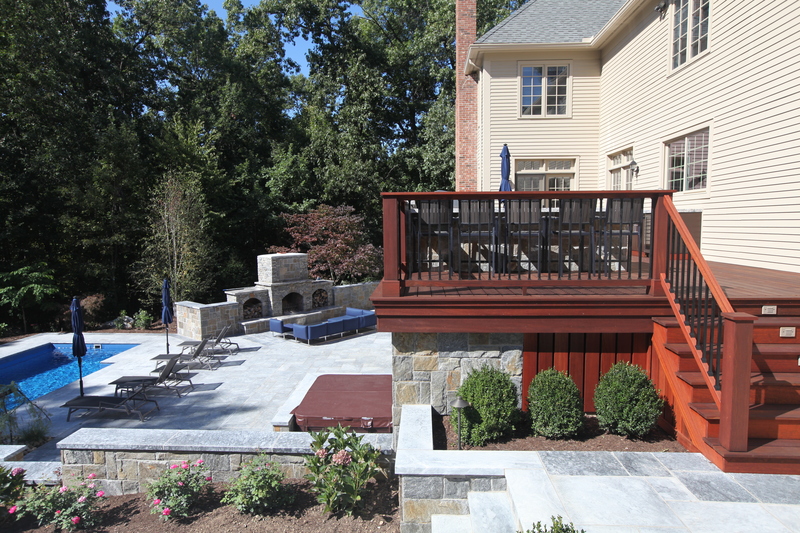 The difference in Outdoor Living and “Living Outdoors Fabulously” is in the DESIGN. 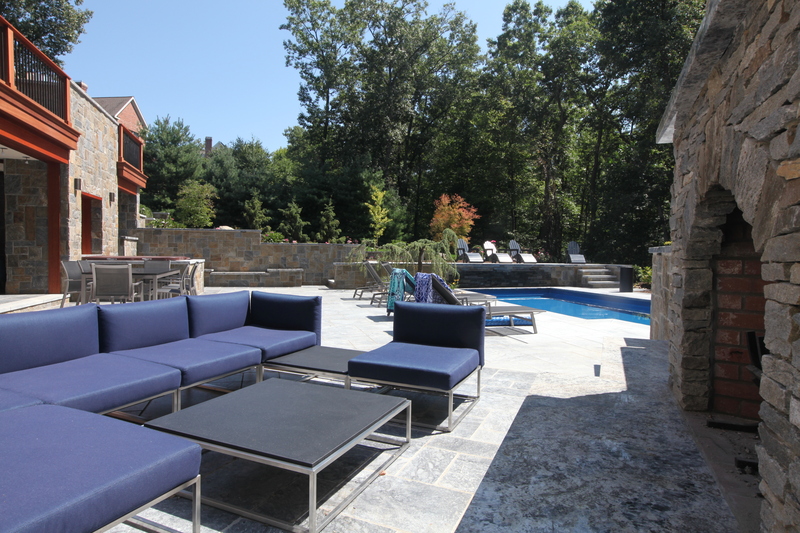 When Outdoor Living designer Michael Gotowala was asked to come out to Avon, Connecticut to meet and greet a family of four whose interest was in enhancing their backyard, Michael and his Preferred Properties team rose to the occasion. As you can see here the secret to Preferred Properties’ success is their inherit ability to design and build tremendous outdoor projects “in house”. An outstanding work force of diversified talents all blended together to accomplish the best of feeling OUTDOOR FABULOUS. 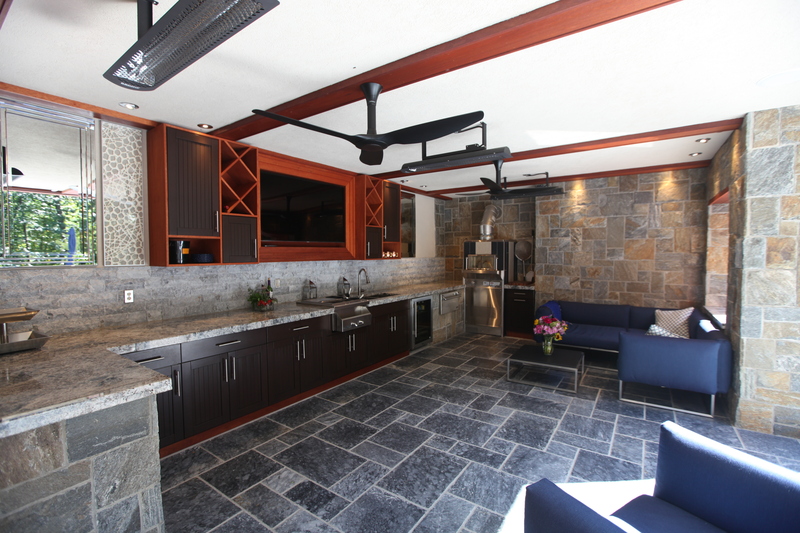 After walking around with the homeowner and hearing her ideas and desires out, Michael felt compelled to visually explain and articulate the deserving feeling of family accomplishments and how his Preferred’s team can build this multi level oasis to suite them all. Outdoor marble patio with surround of antiqued polished marble to texturize the patio. Some of which the Marble is heated from underneath. Outdoor Living fabulously designer offers much more than just grilling. Outdoor culinary invitation shown here with this incredible circular round EVO designed to accommodate Outdoor Hibachi skewers and anchor as a morning breakfast nook..
Outdoors feeling fabulous sets one designer apart from traditional outdoor living. 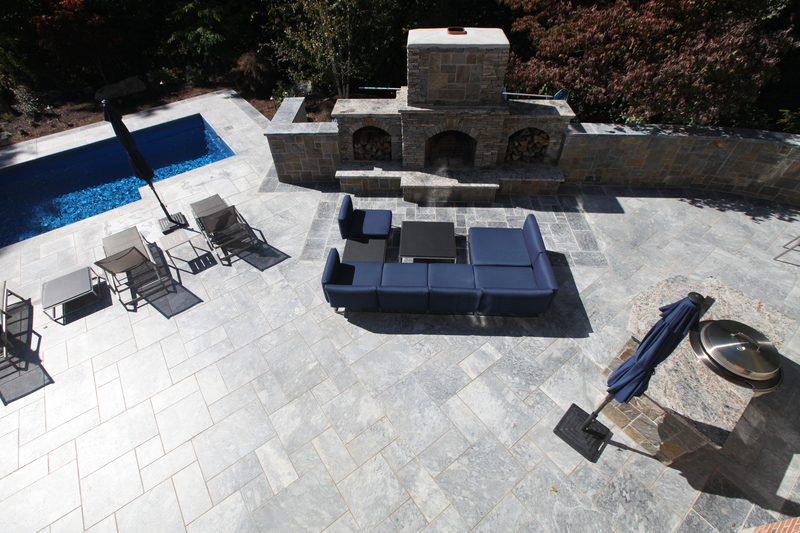 The outdoor fireplace is the heartbeat of the outdoor space. Choosing the right Outdoor fireplace should be done with the utmost concern for how it is to be used. 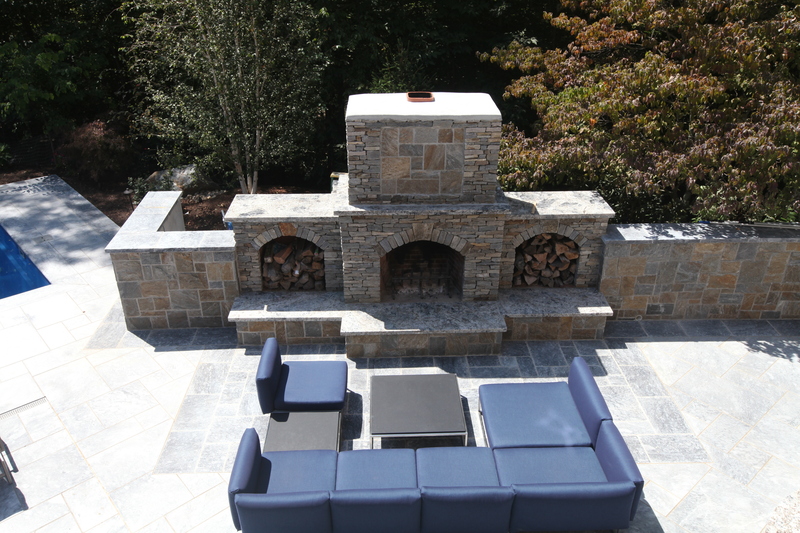 True masonry fireplaces like this stone and granite outdoor fireplace by Preferred Properties appeal to just about everyone. The romance of the fire heats up the outdoor living space. Grande fireplaces provide ambiance, warmth, light and conversation. The Outdoor fireplace by Preferred Properties shown here is the anchoring hub for connecting the outdoor kitchen, outdoor great room and multi level outdoor gathering space. It is large enough to be seen by just about anywhere. 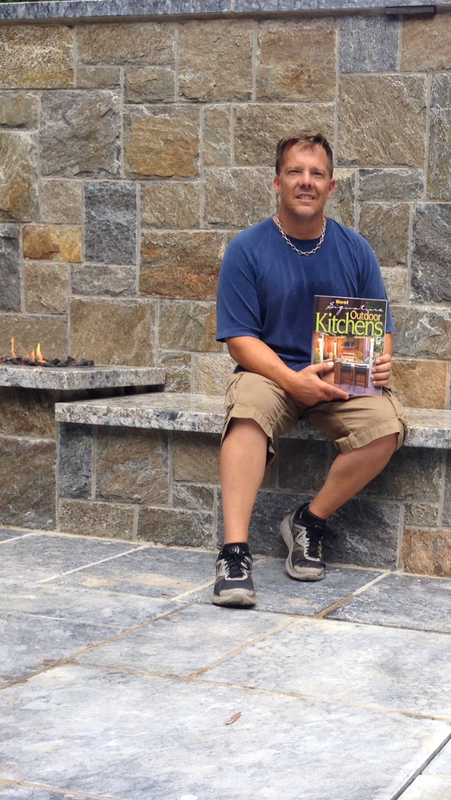 This particular Outdoor fireplace is featured in Signature Kitchen & Bath Outdoor edition 2014. 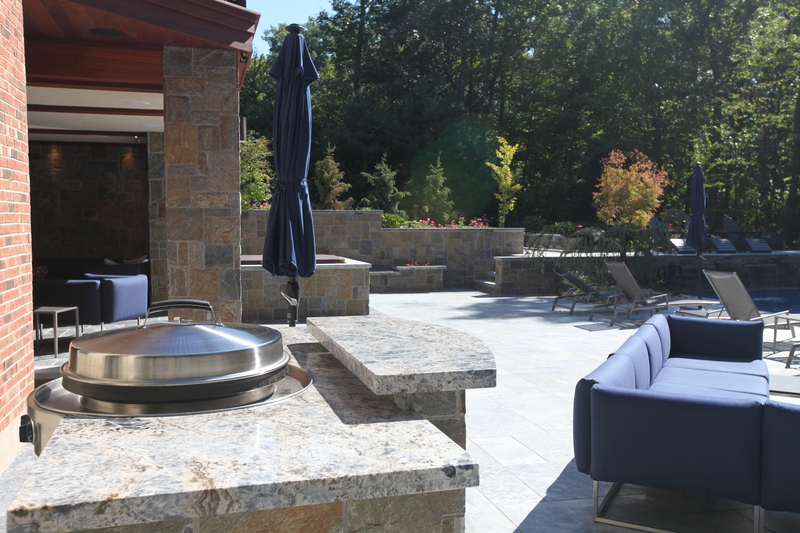 Notice the grande Granite hearth of this outdoor fireplace. Great for family gatherings and portraits. This is the ultimate setting for outdoor gatherings day or night……….. 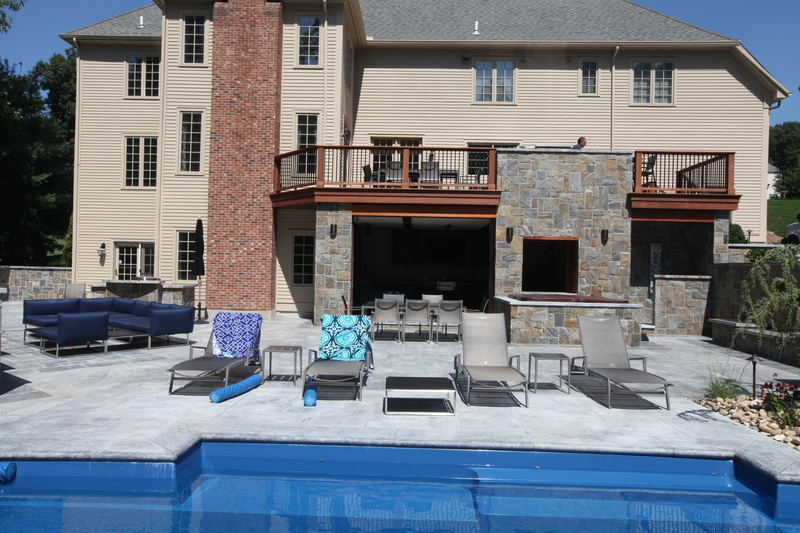 Looking back at the project from the opposite side of the pool allows you to see just how large and detailed this project really is… All of this belongs to the efforts of Preferred Properties Landscaping & Masonry. 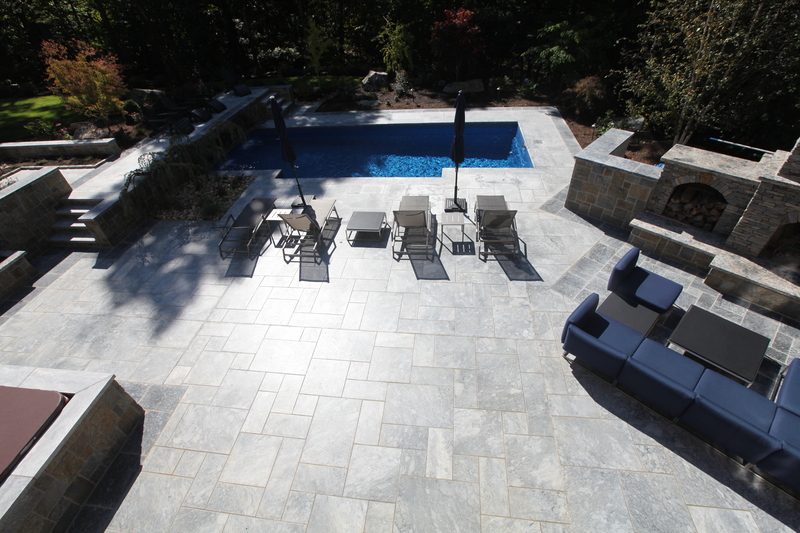 Project Designer and manager Michael Gotowala Outdoor Living fabulously designer in Connecticut. 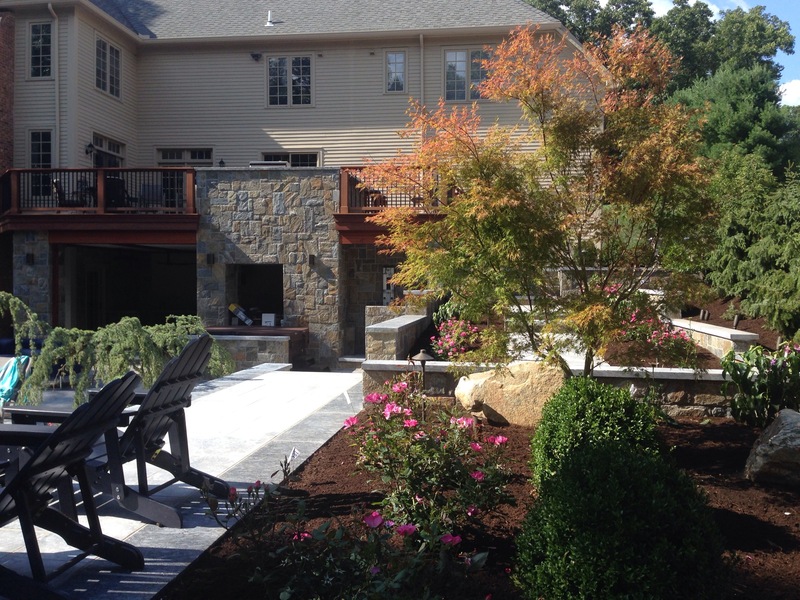 Preferred Properties Landscaping and Masonry Ct. has over twelve outdoor kitchens and outdoor living projects featured in publications nationally. 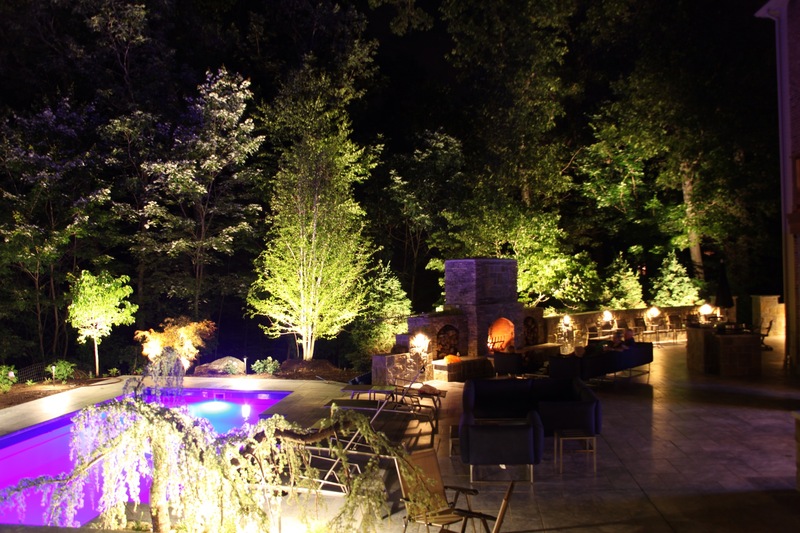 Outdoor Living, Outdoor Lighting and Outdoor living fabulously the mainstay of Preferred Properties. 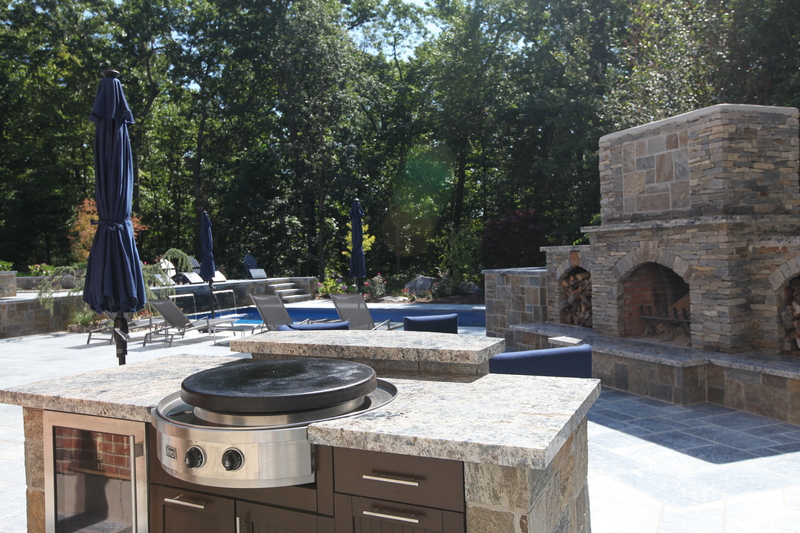 This entry was posted in BEST Signature Outdoor Kitchens, Best Signature Outdoor Kitchens by Creative Homeowner, Connecticut's premier outdoor living designer, CT, EVO grill, exterior lifestyles, Featured Projects, Fiberglass pool, Fiberglass Pools, Fiberglass swimming pool, fire pit, Landscape Design, landscape design build, landscape designer, landscape lighting, landscape lighting design, landscape masterplan, Landscaping, landscaping company, led lights, led Outdoor Lighting, lighting automation, Live a "Preferred" Lifestyle, living fabulously outdoor living design ideas, luxury lifestyles, Masonry, oudoor fireplace and pizza oven images, outdoor fire pit, outdoor fireplace addition ideas, outdoor fireplace design, outdoor fireplace images, outdoor fireplaces, outdoor kitchen, outdoor kitchen design, Outdoor kitchen design ideas, Outdoor Kitchen Design plans, outdoor kitchen designer, Outdoor Kitchen Designer .com, Outdoor Kitchen Designer Michael Gotowala Preferred Properties, outdoor kitchen images, outdoor kitchen island, outdoor kitchens, outdoor led lights, outdoor lighting, Outdoor Lighting / Low Voltage Lighting, outdoor lighting design, outdoor lighting designer, outdoor living, Outdoor Living and Landscaping specialist, Outdoor living and living outdoors fabulously, Outdoor living design ideas, outdoor living design images, Outdoor living designer, Outdoor living fabulously designer, outdoor pizza oven, outdoor pizza oven wiodstone, outdoorkitchendesigner.com, outdoorledlights, outdoorlightingdesign, outdoorlightingdesigner.com, Pizza Oven, Plantings for privacy, pool patio, Pools & Poolscapes, Preferred Properties Landscape designer, Preferred Properties Landscaping, Preferred Properties Landscaping and MAsonry, Signature Kitchen & Bath Best Outdoor Kitchens, Stone Fireplace, stone Fireplace, Stone fireplace with pizza oven, stone patio, woodstone, woodstone pizza oven and tagged Featured Projects, Landscape Design, landscape lighting automation, Landscaping, lighting automation, outdoor fireplace, outdoor living designer, outdoor pizza oven, Pools & Poolscapes, Preferred Properties Landscaping, Preferred Properties Landscaping and MAsonry, preferred properties landscaping and Masonry. live a preferred lifestyle., Preferred Properties Landscaping and nursery, stone fireplace and pizza oven, stucco and stone poolhouse. Bookmark the permalink.